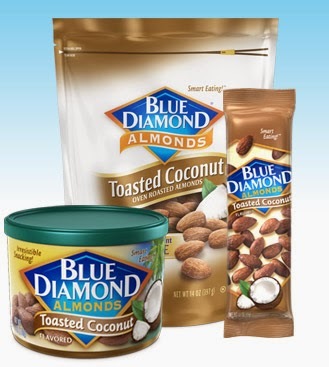 These almonds are my current snack obsession. I love everything coconut, so they were an impulse buy on my last grocery store trip. I’ve been keeping the can of these at my desk at work – a handful of these are the perfect pick-me-up when I get a bit hungry between meals. They aren’t overly sweet like honey-roasted nuts – just a light dusting of flavor. There are only 3 grams of sugar in a serving (28 nuts) and 6 grams of protein, so they are relatively healthy. 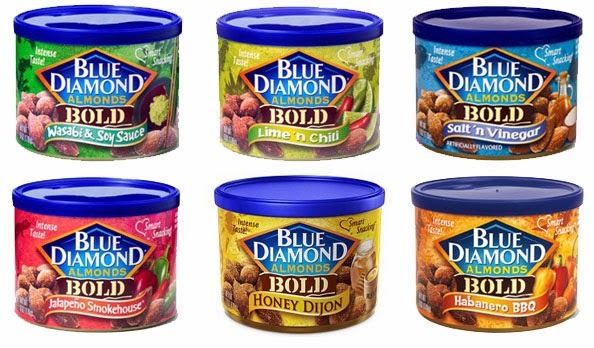 I had the 6 oz can, but it looks like it comes in a 14 oz bag as well – you can locate stores that them with the Blue Diamond product locator. Unfortunately the larger size isn’t available in my area so I’ll just need to stock up on the small cans. They do have other special flavors like “Wasabi & Soy Sauce” and “Lime n’ Chili” but I haven’t had the chance to test those ones out yet. What’s your current snack obsession? Post in the comments below! I have seen some Honey Roasted Nuts online. Thanks for sharing. Keep exploring.